Legends and folklore are stories that live on forever and the characters in these stories are the reason we remember them. Robin Hood is a perfect example, the man who steals from the rich and gives to the poor. A hero in the eyes of the people, a man whose story has been told countless times has returned once again on the big screen. While the idea is nice and the action is heavily increased, something is lacking in this version of the man who wears the hood. Let’s get right to the point, shall we, as the filmmakers make a point of doing so themselves. 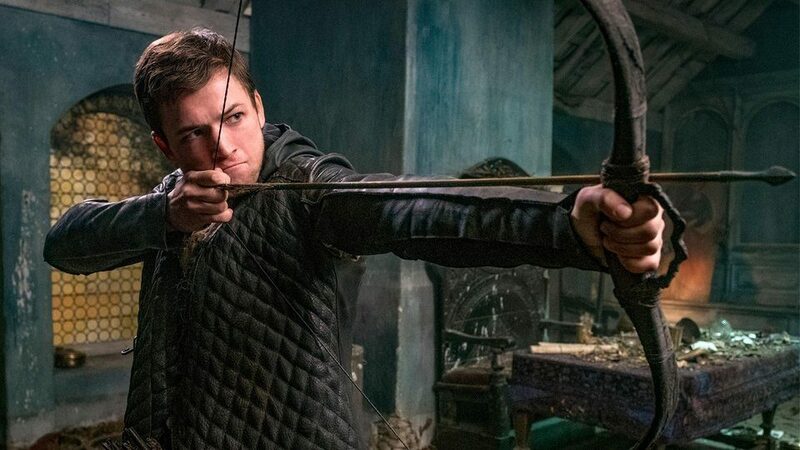 Robin of Loxley (Taron Egerton) is a young man who meets a thief named Marian (Eve Hewson) trying to steal a horse of his – later they’ll become romantically involved. He’s ordered to report for service as the war between the British and Moors is ensuing and within that four year gap the Sheriff of Nottingham (Ben Mendelsohn) has pillaged the city in the form of taxation for the war effort. People are living in squalor while the rich are living it up. During the war, Robin encounters Petit John (Jamie Foxx) a man fighting the war against the British and nearly kills Robin prior to being injured. He has a rather interesting name, but when translated from French, it’s “Little John”. Robin is shocked to find out that his superiors are killing the captured soldiers and doesn’t agree with this. He’s arrested and sent back to England to be tried for treason. This is where things start to get weird. Robin somehow walks off the boat without being in chains or escorted by guards. He just walks off as if he’s a free man. Robin later meets up with Little John and together they plan to steal from the Sheriff of Nottingham and give back to the people. Simple plan and Robin is up to the task but his heart still longs for Marian who thought he’s been dead for the past two years! The movie consists of robbing as well as heavily edited action scenes that feature too many slow motion moments and not enough story. 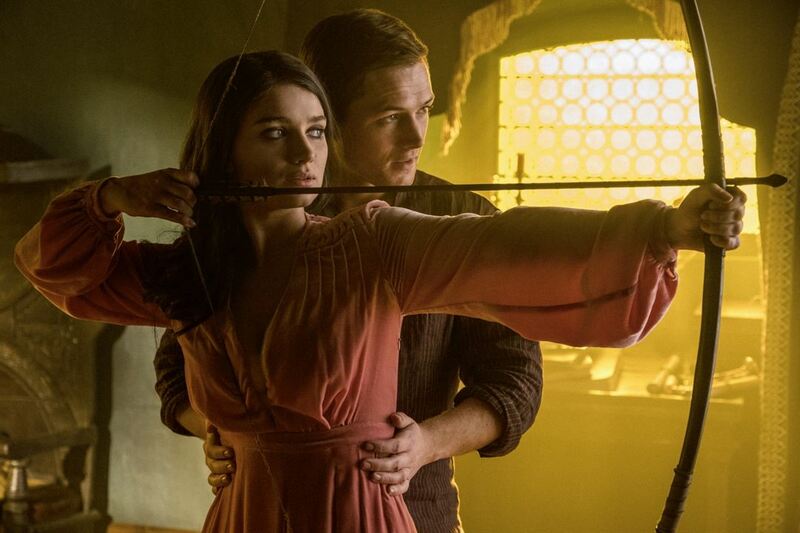 This new version of Robin Hood doesn’t make time to develop its story or its characters. In folklore, legends or any story that has a hero, the villain is the most important character as he serves the motivation for what the hero does. The Sheriff of Nottingham isn’t menacing or hardly interesting to say the least. The action feels too modernized and especially some of the clothing in the film too. I didn’t feel as if I were taken back to a time far away. The chemistry between Egerton and Foxx is well-played but they aren’t a pair that makes their story memorable. In the end, their talents are better suited elsewhere as they are wasting time on a lackluster script. 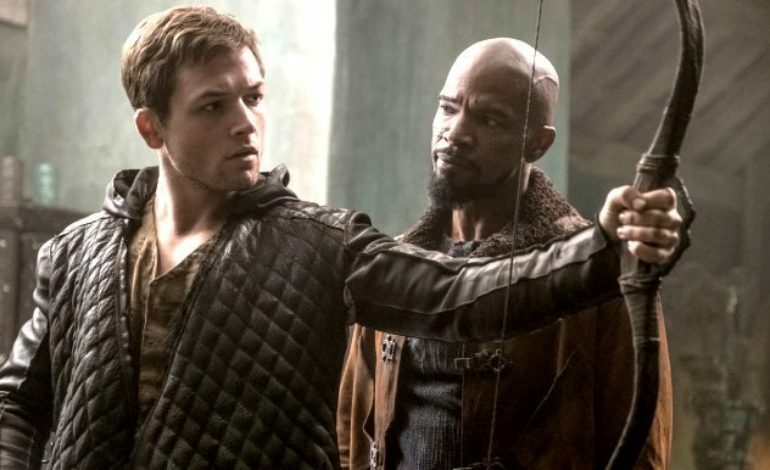 Robin Hood tells a fascinating story and sadly this film doesn’t. An overabundance of action and not enough storytelling can’t make up for the massive budget that financed this project. At a near $90 million dollar budget, this film should’ve utilized the source material better instead of the boring and depressing result we’re given. If you like mindless action then look no further, otherwise just grab a book and fall in love with the story that we grew up with as children.